These days every one has a photography page. The saddest part is even those who do not know how to click good pictures call themselves as photographers. Every one are running behind some DSLR cameras and most of them have a picture like this as one of their display pictures on Facebook. 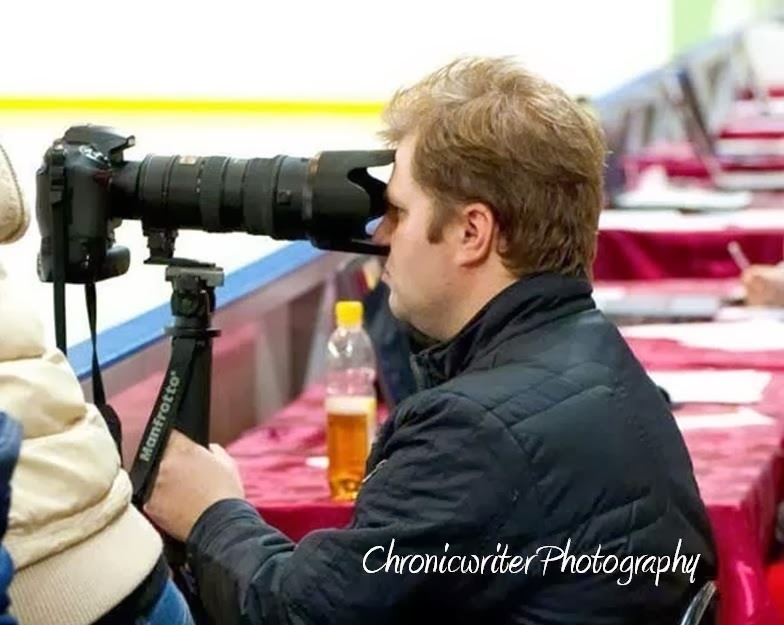 In order to stay in the competition, Chronicwriter started his own Photography page called Chronicwriter Photography. Some of the wonderful and marvelous photographs shot by Chronicwriter and his team are added in this post. Some of these techniques are not used by any other Photography groups around the world. People might steal ideas from this blog. But as Chronicwriter is a paari vallal (generous), he does not mind people stealing ideas from this blog. 1) Anastasia Malgova is our latest photographer. She specializes in reverse osmosis photography. She takes under water photography and also specializes in clicking underground pictures. She is generally used for sting operations when ever there is an under the table dealing. She is Chronicwriter's favorite photographer. 2)This is magic photography. This course was done by our special fantastic photographers in Antartica and our photographers have done fantastic PhD's in this technique. 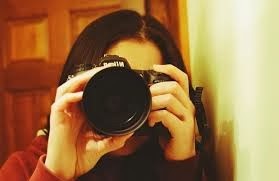 3) Chronicwriter Photography has now recruited Losama Aiden as their portrait photography specialist. He is very good in taking selfies. President Obama wanted to recruit him for taking his picture during Nelson Mandela's funeral. But Chronicwriter did not let Losama Aiden to shoot Obama. 4) Chronicwriter Photography are specialists in taking group photos. The group photos bring back memories for friends and photos like this bring back nostalgic feelings. This Photograph was shot in Nikon D600 DSLR cmera. The group of posers were specially prepared by our team of photographers for this fantastic photo. 5) One of our fashion photographers Ramesh Srivatsan in action clicking pictures of our fashion model Anna Alxina. This picture will feature in the 2013 Victorea's Secret Calendar. Location : African Undisclosed jungle. 6) Shilpa Sebastian is the Transit Photographer of Chronicwriter Phtography. She has an eye for details. While she was travelling in a train in England, she saw this big hoarding on the road. Immediately she clicked this snap from the fast moving train. 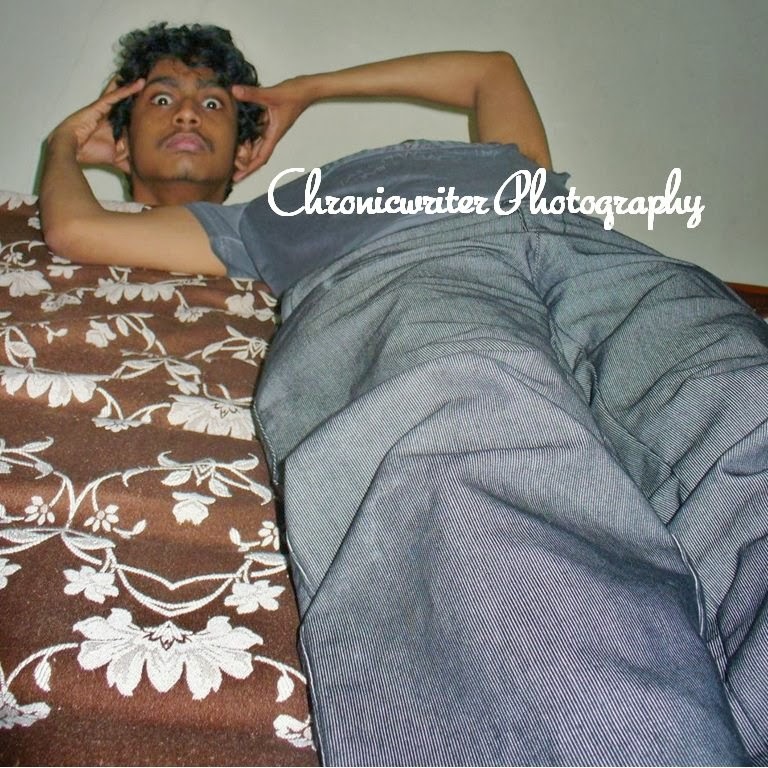 7) Chronicwriter Photography is very sad to announce that one of their best photographers "Kajmal Basab" has been dismissed because of disciplinary issues. As we are a very transparent business entity we are disclosing the reasons for his dismissal here. Kajmal is a world renowned photographer who specializes in clicking pictures of fashion models. In one such photography session he tried to add glamour to the model and in the process removed the belly button of the famous Russian Model Blaudia Sneeshisikova. We would miss Kajmal; but we would like to announce that we maintain diginity, decency and decorum in our photographs. 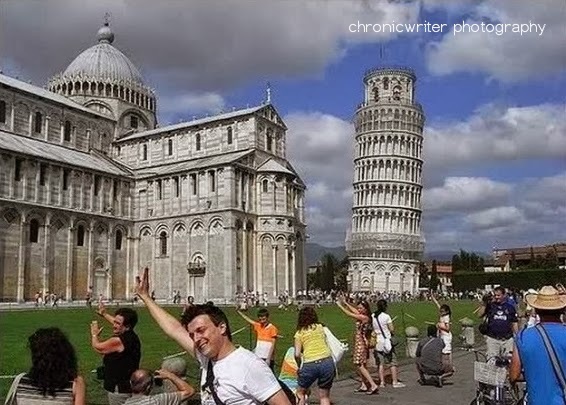 8) This magnificent picture was taken near the leaning tower of Pisa by our drunk photographer Ivalony Masculianov. Ivalony was sloshed when he took this picture. This type of photography is the first of its kind photographic technique and it will be soon added in the syllabus for photography degree courses all around the globe. This is also called a drunken monkey style photograph. 9) This photograph was taken in the first night of Raja and Monica. The lights were switched off and this is what our fantastic photographers shot. First Night Photography : This picture was taken in SLT A57K Sony camera by our first class photographer. As this is an adult rated picture, I am providing only the link for the picture. Children are requested to see this picture without the knowledge of their parents. Good one. :D You should do something about the FB Confessions pages, if you've not done so already. #justsuggesting.